Monitoring changes in load on structural elements during and after construction. Monitoring the performance of wall anchors and other post-tensioned support systems. 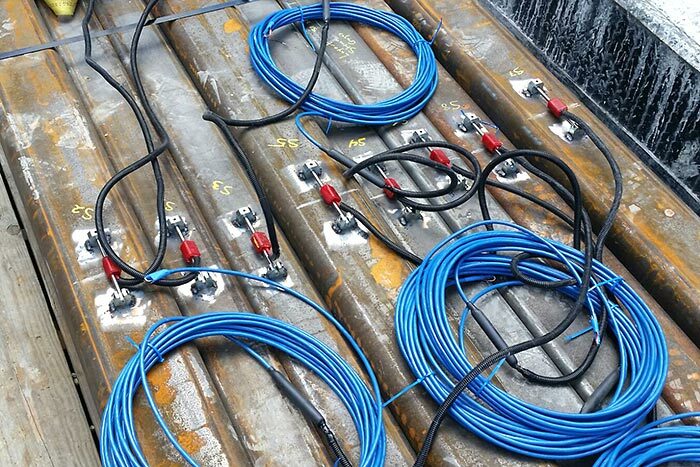 Monitoring distribution of load in pile tests. Measuring strains in mass concrete. Careful positioning and protective foil wraps yielded a 100% survival rate during shotcreting. 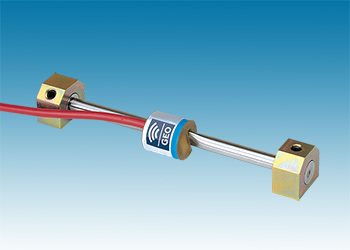 The vibrating wire strain gauge operates on the principle that a tensioned wire, when plucked, vibrates at a frequency that is proportional to the strain in the wire. The gauge is constructed so that a wire is held in tension between two end flanges. Loading of the monitored element changes the distance between the two flanges and results in a change in the tension of the wire and its output signal. An electromagnet is used to excite the wire and measure the resulting frequency of vibration. Strain is then calculated by squaring the frequency value and applying calibration constant. Arc-weldable strain gauges are suitable for most applications and are quickly installed using an arc welder. They can be adapted for concrete by using groutable mounting blocks. 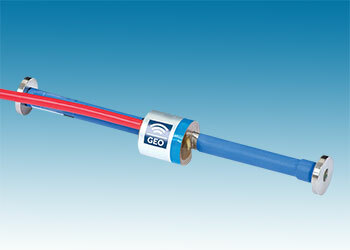 Gauge Length: 6 inches ( 150 mm). Non-Linearity: better than 0.5% FS. Temp Range: −20°C to +80°C. Spot-weldable strain gauges are used when space is limited or when low-heat, shallow welds are required. For short-term applications, they can be installed with epoxy adhesive. 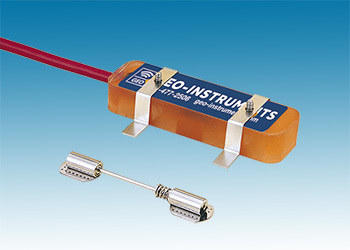 Embedment strain gauges are designed for direct embedment in concrete. The gauge is typically tied to the reinforcing cage. 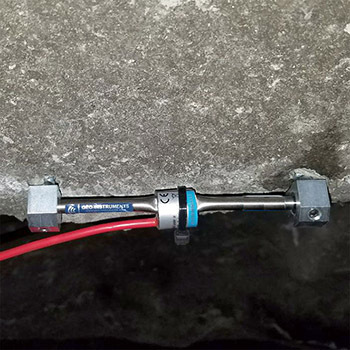 In mass concrete applications, the gauge is installed either before or immediately after placement of the concrete.